That most nonadherent patients are willfully rejecting doctors' orders might seem shocking. But physicians have to accept it in order to encourage patients to accept their advice. Digital health tools may offer potential aids in solving matters of adherence. For many physicians, prescribing medications is the easy part. The real challenge comes afterward. Patients must ultimately decide whether or not to actually take what they're prescribed, and a startling proportion chooses to decline. About 50% of patients with chronic diseases adhere to long-term therapies, according to the World Health Organization. Even after acute myocardial infarction, only about 40% to 45% of patients are adherent to beta-blockers or statins after a year or two, according to a 2015 review article published in Open Heart. Why would patients skip their medications, even after a life-threatening event? Doctors often attribute nonadherence to unintentional factors, such as forgetfulness or confusion, but surveys suggest that only about 30% of nonadherent behaviors fall into this camp, said medication adherence expert Marie T. Brown, MD, FACP, an associate professor at Rush Medical College and Rush University Medical Center in Chicago. "What is not commonly understood is that the vast majority of patients who do not take their medicines intentionally choose not to do so," she said. That most nonadherent patients are willfully rejecting doctors' orders might seem shocking. "Past the surprise, as physicians, we have to accept that and then try to understand it, rather than say … 'Well, look, I've done my job. I went through 12 years of training, and I'm giving you my best advice—take it or leave it. If you don't, it's on you.' That is often the attitude of many physicians, young and old," Dr. Brown said. Meanwhile, innovators are exploring the potential of digital health tools in solving matters of adherence. From mobile apps to "smart" pill bottles to ingestible sensors, new digital health offerings are numerous, although some work better than others, experts say. Medication adherence in the U.S. has long been a target for improvement. As a recent example, Healthy People 2020 goals include increasing the percentage of adults with hypertension who take their blood pressure-lowering medications as prescribed from 63.2% (2005 to 2008) to 69.5% by 2020. A similar Healthy People 2020 objective, which is still in development, aims to increase the proportion of adherent adults with elevated LDL cholesterol levels. Despite attempts at improvement, though, the problem of nonadherence has failed to get much better, according to Dr. Brown. 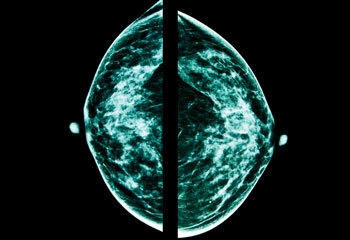 "Nothing has changed … and it's so different from breakthroughs in medical science," she said. "It is all about human relationships, which don't change, and that is often the struggle." Indeed, patients' beliefs, mistrust, and fears (of actual or perceived side effects, for instance) can motivate nonadherence. Some aspects of adherence have improved with the times, said Kevin Volpp, MD, PhD, FACP, director of the Center for Health Incentives and Behavioral Economics and professor of medicine and health care management at the Perelman School of Medicine and the Wharton School of the University of Pennsylvania in Philadelphia. "But it's still amazing how low medication adherence is for patients who really need to take medications, like patients who have had heart attacks," he said. "I would say, on balance, this is probably as big a challenge now as it was five years ago." 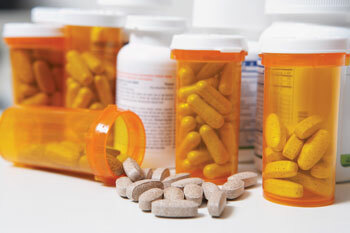 Medication adherence is an especially crucial challenge for health delivery systems to solve as health financing shifts away from fee-for-service, said Dr. Volpp, also a staff physician at the Philadelphia Veterans Affairs Medical Center. "As providers take on financial risk for populations of patients, they're going to have to figure this out because if you have 40% to 50% of patients at high risk who, for example, have had heart attacks taking their medications, you're not going to have outcomes that are nearly as good as they could be," he said. Dr. Brown added, "If a patient walks in and is not taking their medicine and their blood pressure is uncontrolled, in an outcome-based system, that may lead to lower reimbursement for the practice. What could that motivate? That might motivate the doctor to become frustrated with the patient and hope they leave the practice." Patients want to avoid a negative reaction from their doctor, and so the system is designed to encourage patients to conceal their true medication- taking behavior, she said. However, there is a more useful approach than anger, Dr. Brown said. The first challenge, she said, is to change the attitude and beliefs of both the patient and the physician prescribing the medicine. "Only then can you uncover the true medication-taking behavior," she said. Changing entrenched beliefs is difficult, of course, and probably more so for the doctor, she said. "It's very hard for us to understand why somebody would not appreciate our learned advice." Dr. Brown said physicians should recognize that some patients hold different beliefs about science and medicine and that their reactions to the media and historical events can shape these beliefs. She noted one historical example that has bred mistrust of the health care system: the government's infamous Tuskegee Syphilis Study, in which penicillin was withheld from infected black participants long after the treatment had been discovered. With their minds open to the likelihood that patients' beliefs and experiences may differ from their own, physicians must then accept that many patients mislead them when it comes to medication adherence, according to Dr. Brown. "You can ask the patient five different ways if they're taking their medication as prescribed, and the patient might say yes," she said. A chief reason nonadherent patients aren't forthright is social desirability bias: They want to give their doctor the pleasing answer that he or she expects, Dr. Brown explained. There are many consequences when nonadherence isn't uncovered, such as reaching for a second- or third-line drug, which is more expensive, needs preauthorization, and has more side effects, said Dr. Brown. "So now the patient's on three drugs to control their blood pressure, but they're not taking the first drug," she said. In a trusting physician-patient relationship, however, patients are more likely to be honest, she said. "The patient has to trust that the person he's speaking to is not going to yell at him," Dr. Brown said. It takes time to build such a bond, which is especially challenging when, as a September 2016 study in Annals of Internal Medicine found, physicians spend less than one-third of their office time interacting face-to-face with patients. But it's not optional, Dr. Brown said. "You have to develop a trusting relationship with the patient. You have to meet them where they are, and the whole team has to embrace that this patient has a very good reason for not taking their medicine," she said. In addition to building trust, asking the right question in the right way helps, said ACP Member Lars G. Osterberg, MD, MPH, an associate professor of medicine who teaches communication skills at Stanford University School of Medicine in California. "It's not asking, 'Are you taking your medicines or not?' It's really getting to know how they are taking them," he said. For example, Dr. Osterberg suggests saying, "I know it's really hard to take a medication. How is it for you?" or asking a patient what it's like to take seven medications daily, some multiple times per day. "I think asking in a nonjudgmental way, allowing the patient to be honest with you, and spending that time going over the risks and the benefits of the medicines are very important," he said. Only after a physician discovers the nonadherence can he or she develop a differential diagnosis to understand the reason why. "And if you have 100 patients, you have 100 different reasons for why they don't take their medicine," Dr. Brown said. To increase adherence, old interventions are still effective, said Dr. Volpp, noting such strategies as keeping medication regimens as simple as possible and using 90-day prescription refills versus 30-day refills for patients with chronic diseases. Other approaches include lower copayments for high-value medications, automatic refill programs, and synchronized refills, which each "probably increase adherence by a few percentage points," he said. ACP last year recommended in a position paper that clinicians prescribe generic medications rather than more expensive brand-name medications whenever possible. In a 2005 review article in the New England Journal of Medicine, Dr. Osterberg noted that interventions to improve adherence have produced mixed results. Even electronic monitors that, for example, record and stamp the time that medication bottles are opened are still only indirect ways to measure adherence, he wrote: "[T]hey do not document whether the patient actually ingested the drug or correct dose." In terms of which specific interventions enhance both medication adherence and clinical outcomes, a 2014 Cochrane systematic review essentially came up empty. Only a minority of the best-designed randomized controlled trials produced positive results in both adherence and outcomes, leading researchers to conclude that "Current methods of improving medication adherence for chronic health problems are mostly complex and not very effective, so that the full benefits of treatment cannot be realized." New ideas and approaches abound in an era of proliferating digital health platforms, but the evidence has hardly budged. A 2015 systematic review of technology-mediated interventions, published by the Journal of the American Medical Informatics Association, was challenged by a lack of available high-quality studies but found evidence of "inconsistent effectiveness" of such interventions at improving adherence and outcomes. The 38 studies tested interventions that provided education and/or counseling, self-monitoring and/or feedback, and electronic reminders. Overall, about half of studies found improvement in adherence, and more than one-third found improvement in outcomes (about half also used self-report to measure adherence, which can obviously skew results). In 2012, Dr. Volpp coauthored a perspective article in the New England Journal of Medicine that suggested the promise of "automated hovering" over patients in the 5,000 waking hours they spend outside the health care system each year. Essentially, the concept is to watch over patients—either in person or remotely using digital technologies—when they're outside the office, particularly when outcomes are tied to their individual behaviors. The need for health delivery systems to hover over patients in their day-to-day lives will grow as population-based financing systems proliferate, but the ability to do this efficiently has grown with a deeper understanding of behavioral economics and the expanded reach of connective technologies, Dr. Volpp said. Using personnel to do so has produced mixed results and is expensive, according to the 2012 New England Journal of Medicine paper. "One challenge, therefore, is finding a way to automate hovering to reduce its cost," the authors wrote. One type of automated hovering that has shown promise in improving medication adherence is mobile phone text messaging. Of 16 randomized clinical trials with a total of about 2,750 patients with chronic diseases, researchers found that various texting interventions, such as personalized reminders or educational information, roughly doubled the odds of adherence (which, again, was mostly based on self-report) over a median duration of 12 weeks, according to a 2016 meta-analysis published in JAMA Internal Medicine. However, none of the analyzed trials measured clinical outcomes. Automatic pill bottle reminders are another example of automated hovering. Many aim to increase patient engagement, such as the GlowCap. The prescription bottle cap contains a wireless chip that, once activated, allows patients to receive reminders through light, sound, or phone notifications and refill their prescription with the push of a button. In clinical trials, AdhereTech wireless pill bottles provide similar reminders if a dose is missed and allow participants to collect and send their adherence data in real time. Such engagement-focused interventions are helpful to increase awareness in patients who are forgetful or busy, Dr. Brown said, but nonadherence will continue if patients are intentionally abstaining. "My impression is that those generally address the minority of patients who don't take their medicine because of forgetfulness," she said. Despite the overall mixed results of digital technologies, 21st-century innovators continue to develop and test potential solutions to the nonadherence problem. Inhalers are ripe territory for adherence technology. In December 2016, for example, Cohero Health and H&T Presspart launched their embedded and connected metered-dose inhaler, designed for patients with asthma and chronic obstructive pulmonary disease. The device connects to a mobile app that tracks and shares data on the use of controller and rescue medications, as well as enables real-time EHR integration. Propeller Health takes a similar sensor-plus-app approach to chronic respiratory disease management. More generally, Redwood City, Calif.-based Proteus Digital Health is targeting such chronic diseases as hypertension and diabetes. Its Proteus Discover system consists of digital medicines (drugs paired with an ingestible sensor), which record the date and time of ingestion and transmit that information to a wearable sensor, a patient app, and a clinician portal. The system can be used with any oral drug and with any disease state, said Praveen Raja, PhD, vice president of medical science and solutions at Proteus Digital Health. The FDA in 2012 approved the ingestible sensor as an ingestible event marker. Most recently, Proteus and Tokyo-based Otsuka Pharmaceutical Co., Ltd. submitted a new drug application that aimed to embed Proteus' sensor into Otsuka's aripiprazole (Abilify) tablet with the aim of measuring adherence to the atypical antipsychotic. The FDA did not approve the application and requested additional information in an April 2016 response letter. Otsuka has since worked with the FDA to address the agency's questions and establish a clear path for resubmission this year, Dr. Raja said. Although the ingestible sensor technology is not yet incorporated into medications at the point of manufacturing, it is being used alongside medications in the clinical setting. Its precision contrasts with other digital patient-engagement tools that involve the patient but sacrifice accuracy, said Dr. Osterberg, who was principal investigator for the Proteus Discover Cardiometabolic Study, which found greater reduction in systolic blood pressure, low-density lipoprotein, and HbA1c at four weeks in patients with uncontrolled hypertension and type 2 diabetes who used Proteus Discover than in those who did not. In addition, 98% of those in the Proteus Discover group achieved their blood pressure goal within three months, Dr. Raja said. Results of the study have not yet been published but have been presented at multiple conferences, such as the American College of Cardiology's annual meeting, he noted. Dr. Osterberg said that Proteus and similar tools are "like directly observed therapy. … It is allowing us to see on a granular level how patients are or are not taking their medicines. And using these in conjunction with a team approach to health care could really change the way we provide care for patients." In lieu of traditional reimbursement from private or government payers, Proteus is currently partnering with various health systems, many of which have their own insurance plans and are taking on financial risk for their patients, Dr. Raja said. The company has contracted with several health systems across the country to clinically implement Proteus Discover for chronic diseases and also to help ensure adherence to high-value medications (e.g., hepatitis C drugs that provide a cure but cost about $1,000 a pill), he said. In late 2015, Barton Health in South Lake Tahoe, Calif., which serves a regional population of about 65,000 people, became the first to adopt the technology. In pilot trials, the health system used sensor-enabled medications in patients with hypertension, diabetes, and hypercholesterolemia and saw favorable outcomes in adherence and outcomes, said CEO Clint Purvance, MD. "The bottom line is, it worked. So now our goal as a health system is to introduce more Proteus options throughout the health system into high-risk populations," he said. The health system is now in a post-pilot phase and has added heart failure to the three previously studied chronic diseases, Dr. Purvance said. "We've started in one [primary care] clinic and are exploring adding cardiology and then expanding into inpatient status so we can expand along a broader platform for patients," he said. Patients who don't like or don't want to use the technology are in the minority, Dr. Purvance said. "It has not been difficult for our patients to understand the technology. In fact, the mean age of the participants was 62, so it shows that an aging population is able to utilize it well," he said. So far, the biggest challenge for Barton Health has been working to make the Proteus system as efficient as possible for physicians, who cannot afford to be slowed down with more work, Dr. Purvance said. "In general, doctors have said, 'We like it, we like the results of it, we want to utilize it, but it can't slow us down. It has to be efficient,'" he said. "So we're in the process of building the technology, the education, and the solutions into the clinic structure, with nonclinical resources being provided that are focused on the education around the Proteus system." "I think it's an interesting supply-and-demand issue, where the technologies are still relatively expensive in part because health plans, pharmacy benefits managers, and providers haven't yet decided that they think use of such devices for chronic disease management is worth the price," Dr. Volpp said. "I think increasingly, you might see them used in cases like Sovaldi [sofosbuvir] for hepatitis C, where you have very expensive medications for a limited duration of time." Sinsky C, Colligan L, Li L, Prgomet M, Reynolds S, Goeders L, et al. Allocation of physician time in ambulatory practice: a time and motion study in 4 specialties. Ann Intern Med. 2016; 165:753-760. ACP Practice Advisor® recently launched a new module, Collaborative Medication Management, available online. The comprehensive module details how to develop collaborative medication management care plans and identify individual barriers to nonadherence. Authored by Marie T. Brown, MD, FACP, Mary Minniti, Marie Abraham, Juliette Schlucter, Jennifer Sweeney, and Beverley Johnson, the module was designed to help physicians improve the percentage of their patients who are adherent to their medication regimens. "The module is novel because we worked closely with patient and family organizations to develop the content and help practices and clinicians address the root cause of medication nonadherence in more effective ways by partnering with patients," said Cynthia (Daisy) Smith, MD, FACP, Vice President of Clinical Programs for ACP. CME and MOC Practice Assessment points are available upon successful completion of the module.